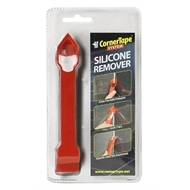 CornerTape Silicone Remover has sturdy design, sharp edges and the perfect shape to fit in the hard to get to gaps. 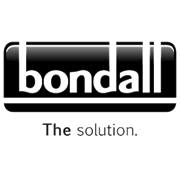 It will ease the removal of old silicone joints. 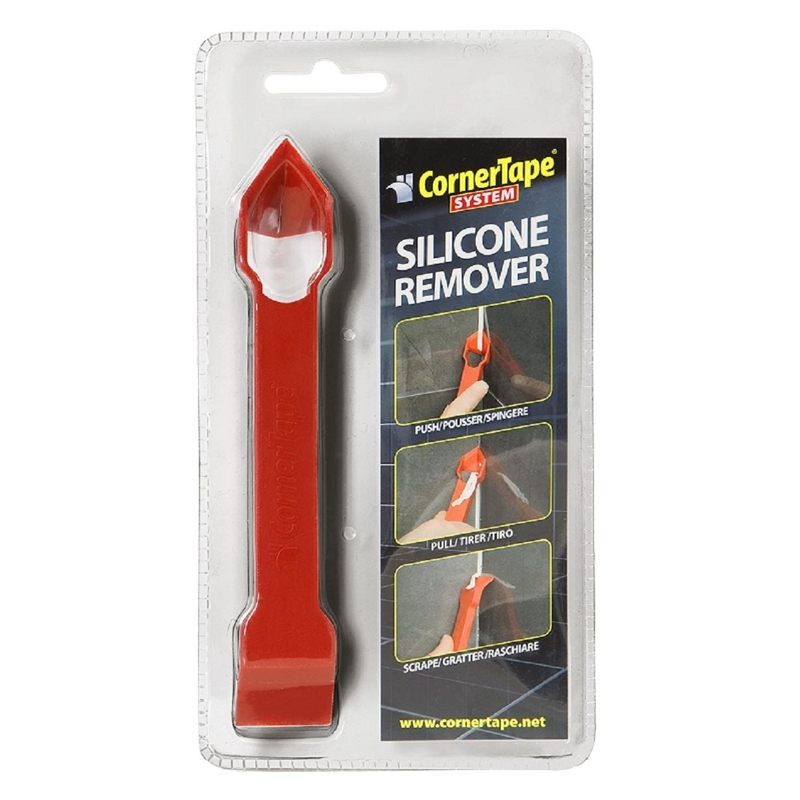 One edge to dig in and pull down, the other to dig in and push up, making it an easy and accessible movement to remove silicone joints.